Ever try putting together a jigsaw puzzle only to find several key pieces missing? Welcome to LinkedIn Lite - tastes like crap and is less fulfilling of your business needs than ever before. - the ability to view people's entire profiles without having to click "see more"
This is far from the entire list, but you get the point. Some LinkedIn members may not know all of these, but those who've been on the platform for a longer time may recall some or most of them. Bottom line? The overall functionality of LinkedIn is going down in a big way for those not willing to pay $900 a year for Sales Navigator. In my market, U.S. government contracting, government employees are not going to pay the $900, nor will the agency they work for. This will drive the value down the value for federal managers, and they will use the platform less. This, in turn, will reduce the value for contractors, who will then use it less. My market is measured in $Trillion$, and LinkedIn is trying to get the federal government to use the HR platform for recruiting. With the reduced functionality AND the ridiculously high price for the Sales Navigator, Federal and state and local governments will find much less value in using LinkedIn. For over a decade, LinkedIn worked hard to build a great for social networking platform business, and largely they succeeded. However over the past few years, much of the value for active LinkedIn members has either evaporated or migrated to Sales Navigator. 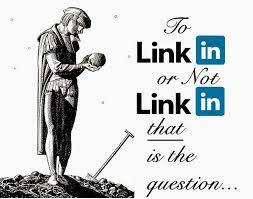 As LinkedIn approaches year 14 (it launched May 5, 2003), 460+ million LinkedIn members are asking "WTF?!?!?" So, welcome to LinkedIn Lite -tastes like crap and is less fulfilling of your business needs than ever before.